The daughter of a scientist who frequently noted her lack of “genius,” Angela Duckworth is now a celebrated researcher and professor. It was her early eye-opening stints in teaching and neuroscience that led to her hypothesis about what really drives success: not genius, but a unique combination of passion and long-term perseverance. 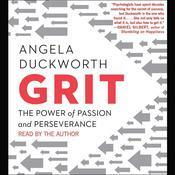 In Grit: Passion, Perseverance, and the Science of Success Duckworth shows young people how they can achieve remarkable things not just by relying on natural talent but by practicing a unique form of focused persistence. She also teaches them how to be better at pursuing the small goals that will bring joy into their everyday life. 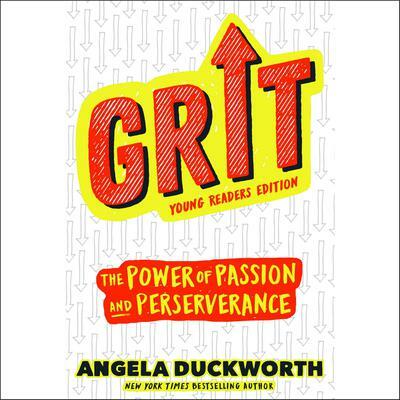 Through her descriptions of field research at venues as various as the National Spelling Bee (where students who score highest on the “Grit Scale” land in the final rounds) to work with Pete Carroll coach of the Seattle Seahawks, who was building the grittiest culture in the NFL, Duckworth shows how “grit” works in the real world. She also passes along insights gleaned from interviews with dozens of high achievers including the New York Times Crossword Editor, the Dean of Admissions at Harvard, and more. Angela Duckworth, PhD, is a 2013 MacArthur Fellow and professor of psychology at the University of Pennsylvania. She has advised the White House, the World Bank, NBA and NFL teams, and Fortune 500 CEOs. She is also the founder and scientific director of the Character Lab, a nonprofit whose mission is to advance the science and practice of character development. She completed her BA in neurobiology at Harvard, her MSc in neuroscience at Oxford, and her PhD in psychology at the University of Pennsylvania.